Our man Carl Schulze has been a busy bunny again, producing two more single subject photobooks for German publishers TANKOGRAD as well as authoring the first title in their new Panzer Manöver series. 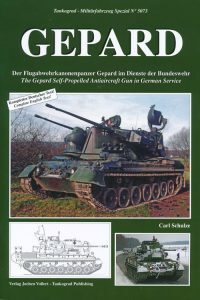 The TANKOGRAD brand, for those unaware, is a German publishing house launched a little over 20 years ago which produces heavily illustrated pictorial books on military vehicles, mostly in both German and English languages. 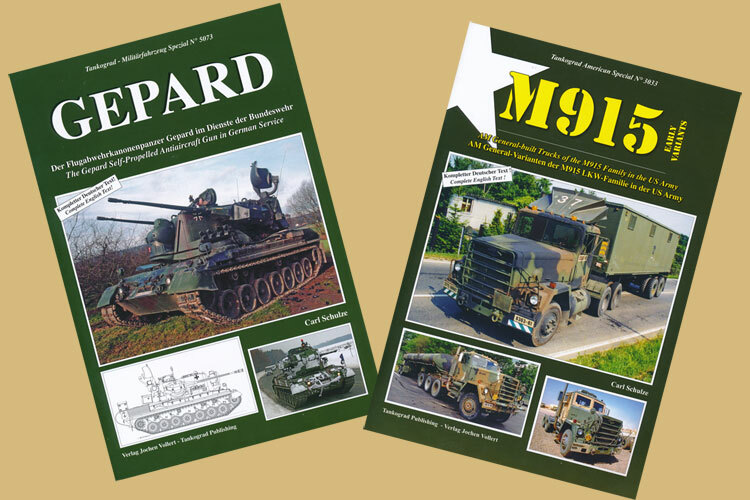 It started off with a photocopied gazette which soon evolved into a quarterly German language magazine, MILITÄRFAHRZEUG, but then branched out into the TANKOGRAD series of card covered photobooks. 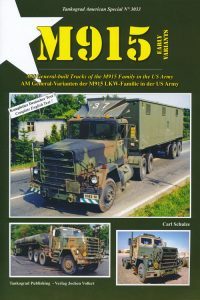 TANKOGRAD American Special No.3033 covers the early M915 Truck Tractor Line Haul 50,000 GVWR 6×4 produced by AM General Corporation, which first entered service in 1979, plus the M916 6×6 Light Equipment Transporter, M917 8×6 Dump Truck, M918 6×6 Bituminous Distributor Truck, M919 8×6 Concrete Mobile-Mixer Truck and M920 8×6 Medium Equipment Transporter variants. 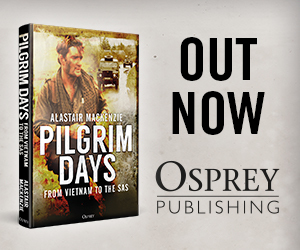 Many of the earlier illustration were supplied by manufacturers or by fellow specialist military hardware photographers, but most of the more recent ones, including operational images from the Former Yugoslavia and Iraq, were taken by Carl himself. Truck modellers and enthusiasts should really like this comprehensive work. TANKOGRAD Militarfährzeug Spezial No.5073 focuses on the German Gepard self-propelled anti-aircraft weapon system in great detail and even includes two sets of five-view 1/35th scale drawings of early and late versions. Again Carl has used a mix of his own and other specialist photographers’ images, including quite a few from old friends like Michael Jerchel and Thomas Laber (who are no longer with us but whose collections were subsequently absorbed into Carl’s archive) who photographically documented Cold War era armour, to provide comprehensive coverage; indeed there are even reference photos of Belgian, Brazilian, Dutch and Jordanian Gepards at the end. 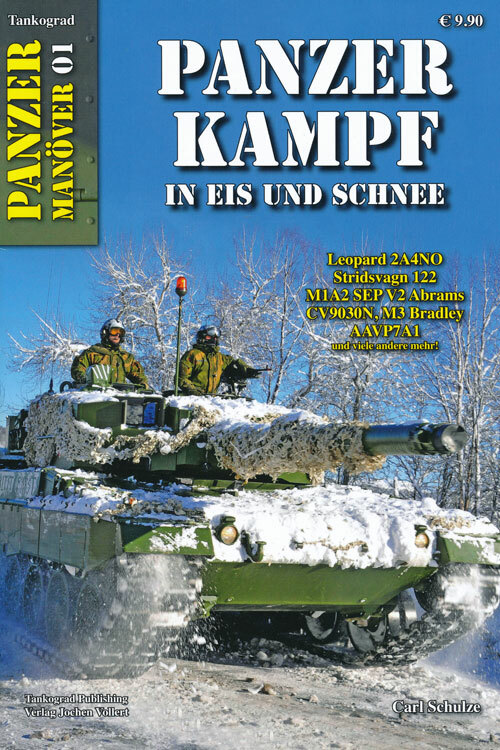 Both previous titles, which are 64 pages thick inside A4 card covers, have German and English text and captions but the new Panzer Manöver series is German-only and is thinner (and less costly) at 40 pages plus card covers. 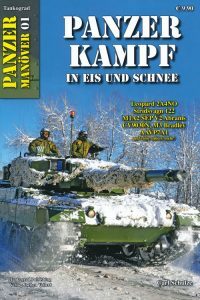 Volume 01, titled PANZER KAMPF In Eis Und Schnee or Panzer Battle In Ice And Snow, focuses on six types of NATO armour deployed to Norway on Exercise COLD RESPONSE. Almost every one of the photos, of which there are mostly two per page with extended captions, were taken by Carl himself and are to his usual high standard. 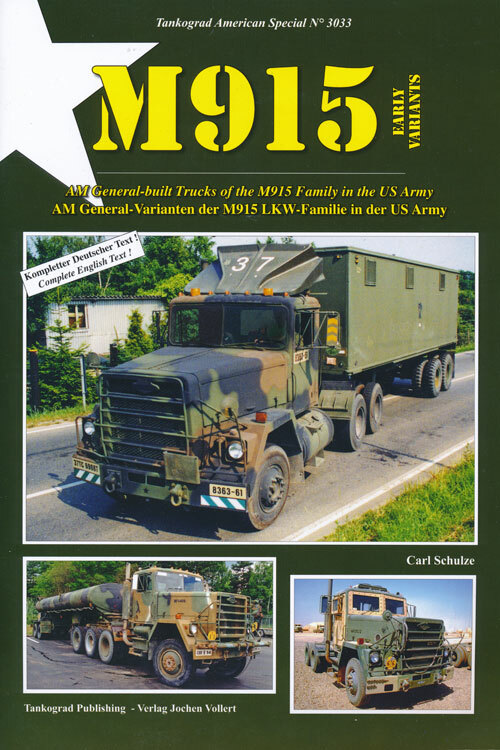 Although an excellent standalone reference source, almost like a single theme magazine, one must remember there is no English text unlike with other TANKOGRAD photobooks.